What if your "one thing" was to make a difference? There are no such things as priorities. You can have a priority; one. But you can’t have more than one priority. Besides, it’s not a priority if it competes for attention with other priorities. You can have a lot of things that are important, or urgent or critical. But there is room for only one priority. It is that one priority that you can build a company, an ideal or a movement around. For you, what is THE priority? What is your one thing that you place above all others? Is it that nobody got hurt today? Is that your one thing? Well, that is sort of the expectation: to not hurt anyone. Perhaps we should reconsider how quick we are to celebrate that we sent people home safe. That’s what we’re supposed to do. Instead, what if your one thing was to make a difference in the lives of your people? To send them home better than they showed up at work. To help them find a new talent or skill they didn’t know they had. To help them want to look out for their fellow team members better. To speak up at the safety meeting. To congratulate a fellow crew member for their excellent attention to detail. To help them go from competent employee to highly-valued and highly-skilled employee. Do all of these things and it’s far more likely that your people are going to go home safe anyway. As much as it may have been drilled into you and you have heard it uttered on your worksite, safety first is not the priority. People first is the priority. All things come from that priority: engagement, coaching, motivation, work-ethic, quality, value, caring and, yes, safety. It’s people that we must make the priority. What I discuss at length in my book PeopleWork: The Human Touch in Workplace Safety is that all things we do at work, including safety, must support the priority: people. The M4 Method TM in the book lays out a strategy to help improve your organization’s safety performance by addressing the four key areas of management, meetings, marketing and motivation. You become an employer of choice when yours becomes that “people-first” workplace. That’s the workplace people want to be part of. That’s the workplace other companies want to do business with. That’s the workplace that prides itself on how it looks after its people and keeps them safe. 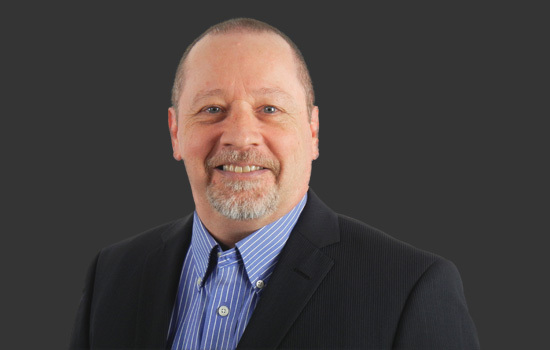 Put Kevin Burns' expertise and his proprietary M4 Method TM to work in your organization. Whether it's for a one-day safety event or training/facilitation session, or perhaps Kevin's 90-Day Safety Accelerator program and the High-Participation Safety Culture Shift program. There is a program that can work for you, your front-line crews, your management team, your safety committee and your supervisors. 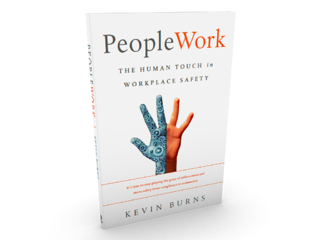 Kevin Burns is a management consultant, speaker/facilitator and author of PeopleWork: The Human Touch in Workplace Safety. He is an expert in how to engage people in safety and believes that the best place to work is always the safest place to work.